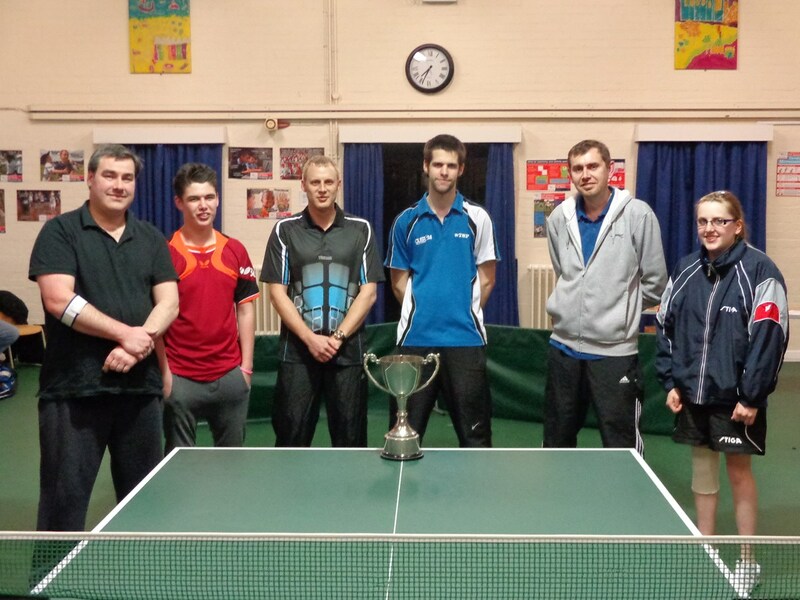 Having battled through the knock out rounds, the final of the President’s Cup handicap competition between Lancing ‘C’ and Goring ‘A’, both from Div.1, took place at the Lancing Table Tennis Club on the 13th March. Lancing were certainly up for the win, taking sets off their opponents right left and centre they pulled ahead steadily throughout the match to win on aggregate by 438 points to 357.5. In only one game did Goring get the better of Lancing on aggregate points scored. By the end of the fifth game Lancing had a lead of 39 points. After the seventh game, with two games to go and 48 points behind, there was virtually no way back for Goring. In the Lancing team Simon Knivett gained 26 points in total over his three games, Beth Pemberton-Hill 11, and Andy Cooper 47. In the Goring team Richard Steel lost 56 points over his three games, and Dean Norgate and Tony Steel lost 14 points each.